In men finals, the title of champions went to Vytautas Magnus University, Lithuania who won a final match against The Leningrad State University named after A. S. Pushkin, Russia with the result 94:84. In women finals, the title of champions went to University of Belgrade, Serbia who won an exciting final match against Istanbul University, Turkey with the result 74:70. Medals and awards were presented by Sinisa Jasnic – Vice-President of EUSA, Michalis Kiritsis – EUSA Technical Delegate, Tomasz Kayser - Deputy Mayor of Poznan, Grzegorz Ganowicz - Chairman of the Poznan City Council, Waldemar Witkowski - Representatives of the Marshal of Wielkopolska Region, Izabela Kaczmarek - Representative of the Polish Basketball Association and Tomasz Szponder - Chairman of the Organizing Committee. 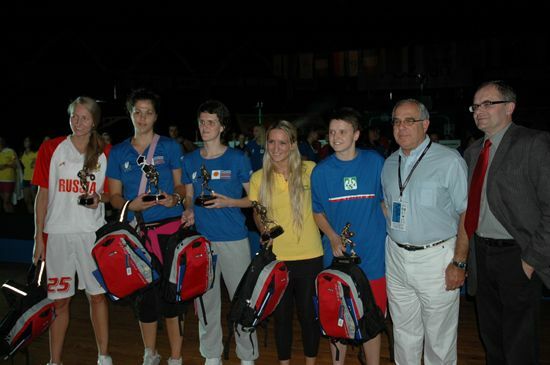 Apart from medals, All Star Team awards were attributed in both tournaments. 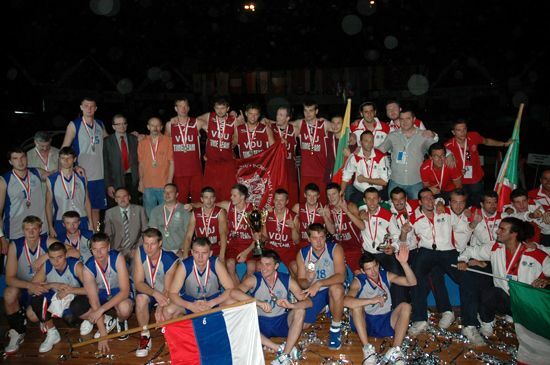 15 men and 12 women teams participated in this year’s European Universities Basketball Championship which was taking place in Poznań, Poland between July 19 and 25, 2010. The next championship will take place in Cordoba, Spain where teams are warmly welcomed to join the 11th European Universities Basketball Championship. More information is also available at the official website of the championship: www.eusabasketball2010.poznan.pl.